Seatronx There are 7 products. 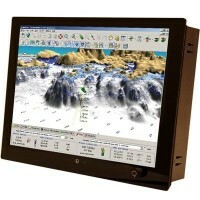 Seatronx is a world renown manufacturer and distributor of innovative marine electronics offering the newest technology for ruggedized marine displays, Multi-display touchscreen pods, computers, CCTV systems, trackballs and keyboards. Seatronx Sunlight Readable Touchscreen Display - 10"
Seatronx Sunlight Readable Touchscreen Display - 12"
Seatronx Sunlight Readable Touchscreen Display - 15"
Seatronx Sunlight Readable Touchscreen Display - 17"
Seatronx Sunlight Readable Touchscreen Display - 19"
Seatronx Sunlight Readable Touchscreen Display - 24"